Fun paper placemats for your table at Easter! 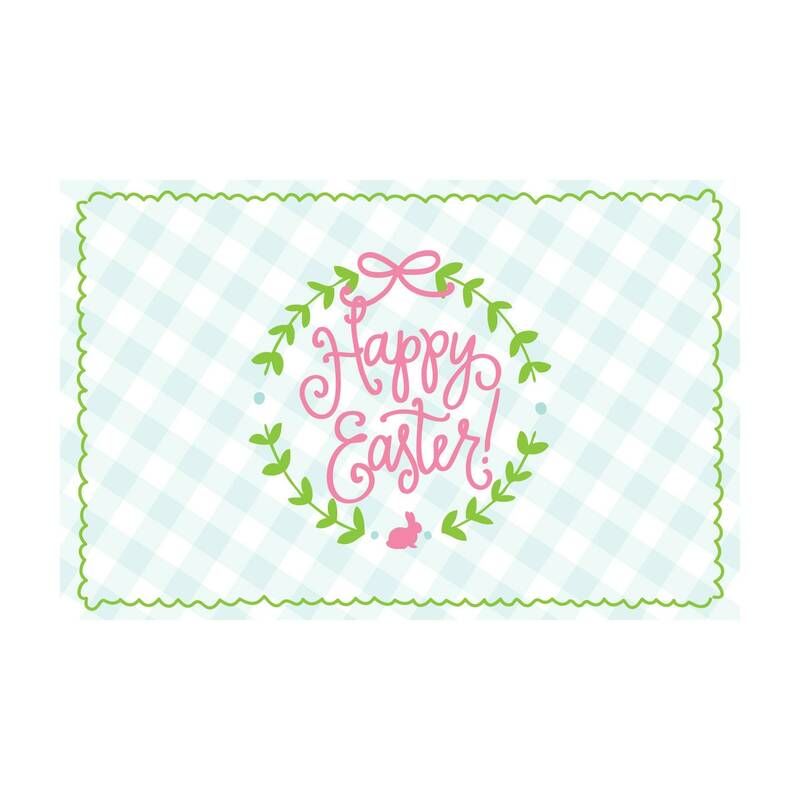 Features hand-lettered "Happy Easter" and wreath by Natalie with scallops and gingham in a bright pastel color palette - perfect fro your Easter breakfast, brunch, lunch … or just because they're cute! Wonderful, thick and quality paper on a tear off pad for easy storage!